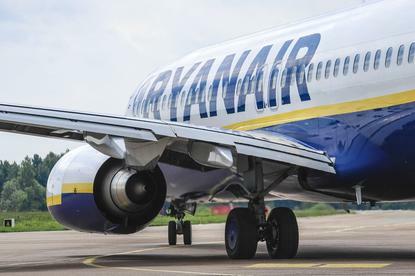 Low cost Irish airline Ryanair is looking to shut down 'the vast majority' of its data centres over the next three years as it goes 'all in' on the Amazon Web Services (AWS) cloud. The airline says it is standardising its IT around AWS services, including databases, analytics, machine learning, and deep learning services. Europe's busiest airline was already an AWS customer, using its flexible cloud infrastructure to support Ryanair.com and its hotel booking site Ryanair Rooms, as well as using Amazon's Simple Storage Service (S3) for its company data lake and Amazon Kinesis for analytics. It is also migrating from Microsoft SQL Server databases to Amazon's popular Aurora. This will help the airline run its email marketing campaigns at lower costs. Naturally the airline runs email marketing at massive scale, sending out 22 million emails daily to customers about travel bookings or sales events. In a clear indication that machine learning and AI expertise and services is the key differentiator in the cloud computing space, Ryanair was glowing about the services AWS offers in this space. John Hurley, Ryanair's CTO, said: “Machine learning is hugely important to our growth, and we’re pursuing a variety of AWS machine learning services, including Amazon SageMaker, to enhance customer UI experience and personalise the MyRyanair portal for every unique traveller." The airline is also trialling Amazon's chatbot technology with Amazon Lex, to help automate some customer support requests. Naturally it is also looking to support voice requests through Amazon's Alexa virtual assistant. Lastly, Ryanair says it is working with the AWS ML Solutions Lab to create an application "that enables the company to automatically detect surges in demand for flight segments and anticipate schedule changes", it outlined in a press release.